Paper presentation at the EXPLORA conference series on the History and Cultural Representations of Human Remains at The Hunterian Museum, London. Download the conference programme here. Paper presentation at the Probing The Skin conference at The University of Jena, Germany: Roses and Daggers: Expressions of Emotional Pain and Devotion in Nineteenth Century Tattoos. Click here to download the full conference programme. Chris Arridge, Steven Gray, Tom Manly, Richard North, Simon Jolly, Anna Maerker and Hannah Fry. On stage at Bright Club, Bloomsbury Theatre. Photograph by Isabelle Adam. Invited talk on memorial tattoos in the Wellcome Collection at Tattoos: The New Memento Mori?, part of the evening seminar programme at St. Bartholomew’s Pathology Museum. 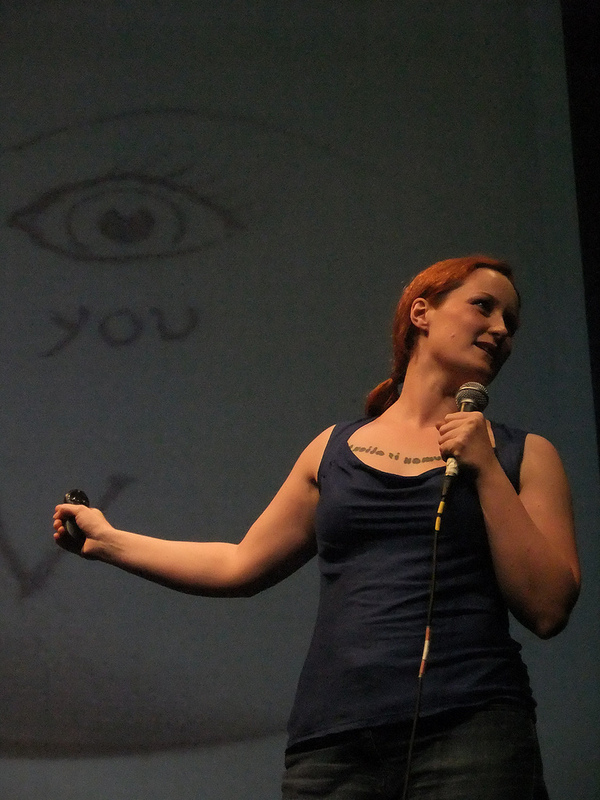 Speaking alongside artist Sandra Ann Vita Minchin, who plans to have one of her own tattoos preserved postmortem. Invited talk and panel discussion at The Last Tuesday Society, as part of the Congress for Curious Peoples, 11am~5:30pm. A one day symposium featuring a host of scholars, writers, and practitioners exploring in panels, illustrated lectures and discussion the intersections explored by the exhibition “Ecstatic Raptures and Immaculate Corpses: Visions of Death Made Beautiful.” Themes discussed included enchantment and enlightenment, or the sublimation of the magical into the rational world; the secret life of objects, or the non-rational allure of objects and the psychology of collecting; and beautiful death and incorruptible bodies, or the shared drive to immortalize the human body and aestheticize death in both medicine and Catholicism. Part of a lecture series and exhibition curated by Joanna Ebenstein (Morbid Anatomy; The Observatory Gallery, Brooklyn). From September 5th until October 2nd at Viktor Wynd Fine Art. Invited public lecture at The Last Tuesday Society: The Body as Book: Tattoos, Text & The Flayed Body. Lecture series curated by Joanna Ebenstein. I returned to the comedy stage with Bright Club at this year’s Green Man Festival. Glanusk Park, Wales. The Tattoo Collectors: Sailors, Criminologists & Bibliophiles. Lunch time lecture at the Bishopsgate Institute, from 1:15pm in the Courtyard Room. Further details can be found here. Invited presentation at the Art History in the Pub event on Mayday Bank Holiday weekend, as part of the Camden Crawl 2012. 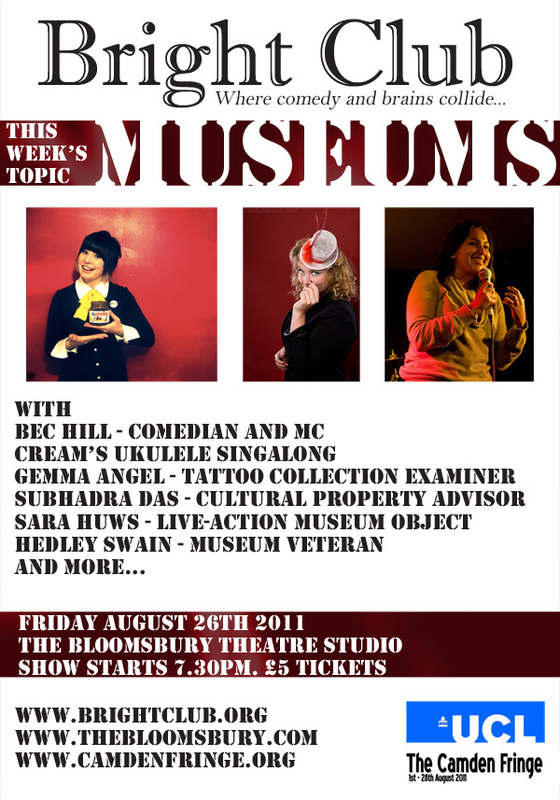 First ever Museums Showoff at the Camden Head, Camden High Street, London. 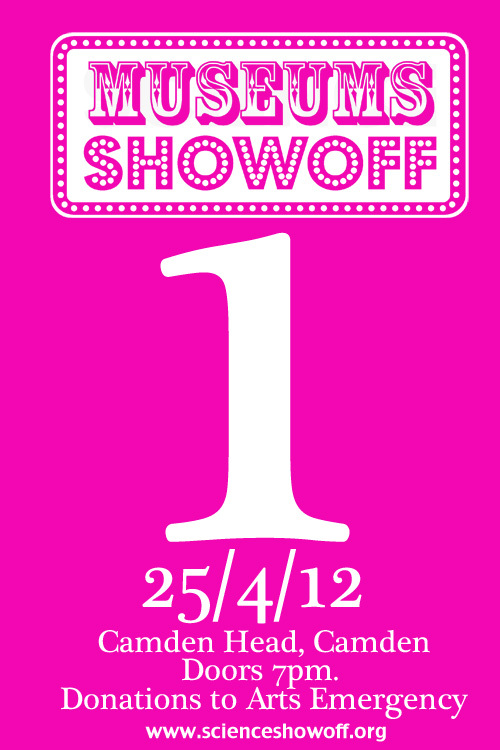 Show starts at 7pm – for location and details click here. Read the review by That’s Not Online! Following on from the Association of Art Historians annual conference at the end of March, at which colleague Dr. Matt Lodder and I co-convened a panel on art historical approaches to the tattoo, University College London History of Art Department hosted a one-day public seminar, Tattoo Art History on April 2nd, 2012. 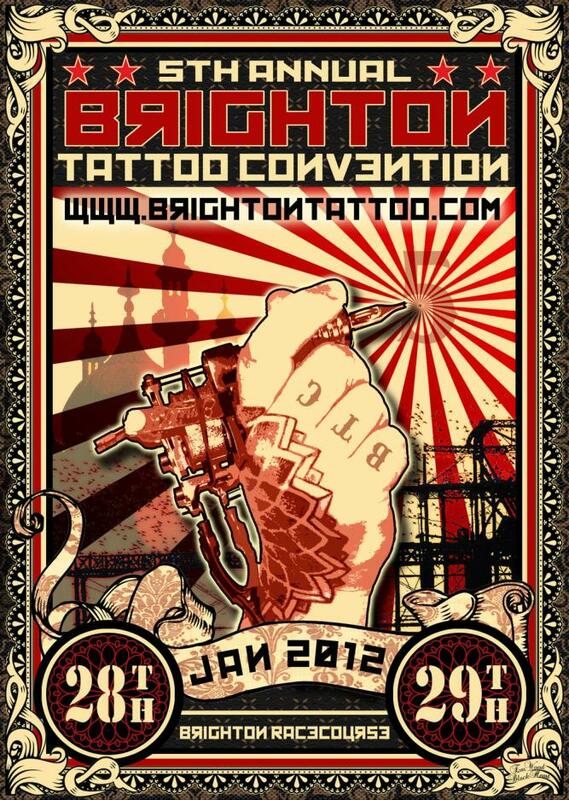 Invited presentation at the 5th Annual Brighton Tattoo Convention: Life & 6 Months: Tattoo Collecting in the Nineteenth Century. Making my first foray into the world of stand-up comedy at London’s Bright Club – ‘the thinking person’s variety night.’ Discussing sailors, tattoos and human-skin jigsaws puzzles! 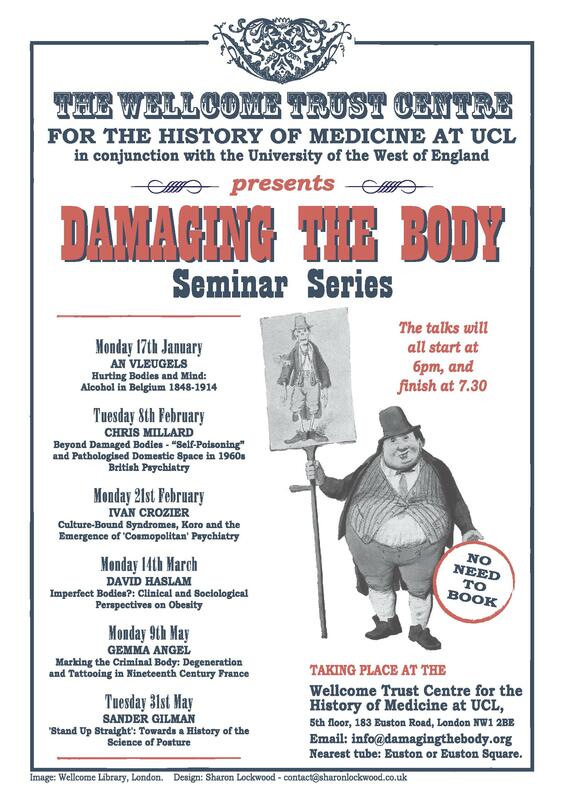 Invited seminar presentation at the Wellcome Centre for the History of Medicine: Marking the Criminal Body: Degeneration and Tattooing in Nineteenth Century France. Find out more about the ongoing Damaging the Body seminar series here. To coincide with the Wellcome Collection exhibition, Skin, I was invited to present a public talk on my research on the history of the Wellcome tattooed human skins. The exhibition ran from June 10th to September 26th 2010, and featured seven of the tattoos from the core collection of 300.